At the Summer Solstice, we celebrate the bounty of summer, and the power of the sun. Frederick CUUPS will honor the longest day of the year with a family-friendly ritual. Join Frederick CUUPS for an open, family-friendly Litha Ritual! Hand drummers are needed during the ritual – please bring a percussion instrument if you would like to help out. 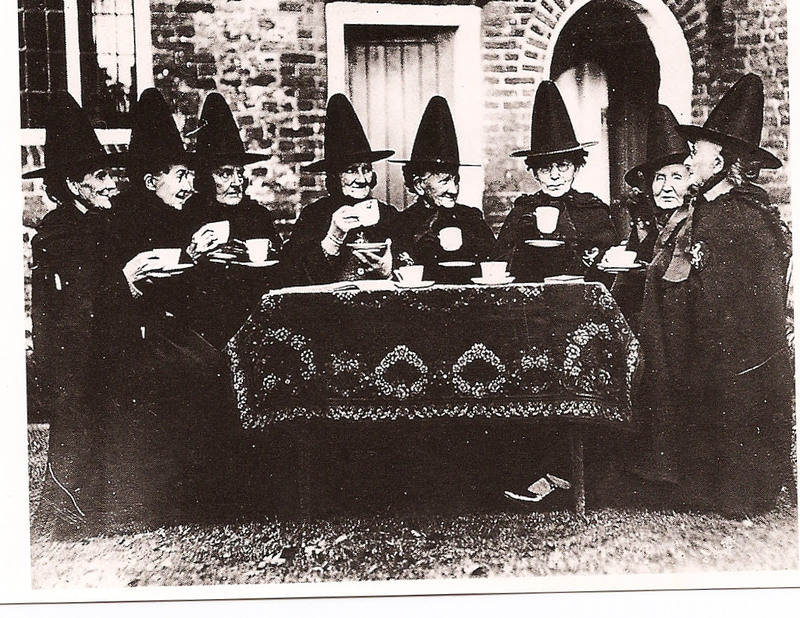 There will be a snack/dessert potluck after the ritual – please clearly LABEL any offerings with the ingredients included. Come enjoy the beauty and peace of the Labyrinth by the light of the full moon! Weather permitting, this will be an outdoor, drumming walk. The first half hour will be a quiet walk, the remainder drumming, so feel free to bring hand drums and other percussion instruments. If you haven’t walked a Labyrinth before, there is no ceremony or ritual. A Labyrinth Walk is safe, open Sacred Space for personal exploration. Please plan to arrive by 9 pm at the latest to allow enough time for your walk. Divination practice is welcome – please feel free to bring your preferred divinatory tool (runes, tarot, ogham, etc) to practice/trade readings. Or, just stop by for a reading! Recommended donation of $5. 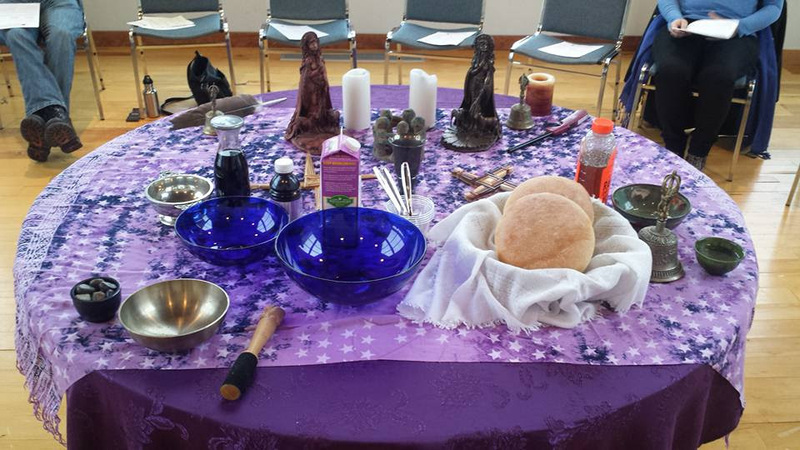 Our Earth-centered Spirituality Group meets on the 2nd Sunday of each month in the Chapel at 11:30 am. This time provides an opportunity to focus on the Sixth Source of Unitarian Universalism: “Spiritual teachings of earth-centered traditions which celebrate the sacred circle of life and instruct us to live in harmony with the rhythms of nature.” Join us for our July meeting. March Events with Frederick CUUPS! As the season turns to growth and renewal, the Frederick CUUPS calendar is heating up! Join us for opportunities to connect with like minds and deepen your spiritual practice. 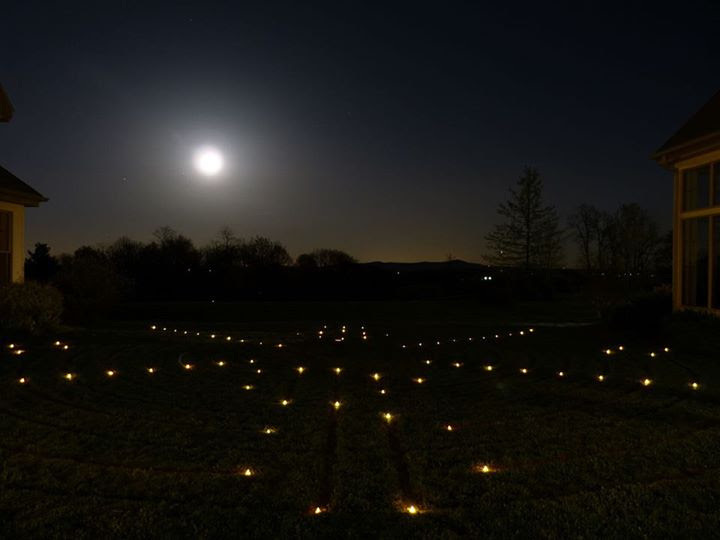 Come enjoy the beauty and peace of the Labyrinth by the light of the full moon! The labyrinth will be illuminated from 6:30 – 8:30 pm. Everyone is welcome. During the cooler months, we take our Labyrinth practice indoors, and will be walking the Rainbow Seed Labyrinth, a canvas Classical-pattern Labyrinth. Please remember clean socks or slippers to walk the Labyrinth in. Please plan to arrive by 8 pm at the latest to allow enough time for your walk. Divination practice is welcome – feel free to bring your preferred divinatory tool (runes, tarot, ogham, etc) to practice/trade readings. Or, just stop by for a reading! Recommended donation of $5. Elk Ridge Kindred is a small, local group who practice the Norse traditions of Heathenry. On March 9th they will be hosting a blót (pronounced blōt), which is a traditional way of toasting and honoring Deity and our ancestors. For this event we will call to the Vanir, the Gods and Goddesses of nature, fertility and magic. While open to the public, space is limited so we are asking that people make reservations by emailing us at ElkRidgeKindred@gmail.com if you wish to attend. Ritual will be held at the UUCF and begins promptly at 7:45pm. We will also be available at 7pm for an informal information session and Q&A about Heathenry, the Vanir and how a blót works if interested! Our Earth-centered Spirituality Group meets on the 2nd Sunday of each month in the Chapel at 10:30 am. This time provides an opportunity to focus on the Sixth Source of Unitarian Universalism: “Spiritual teachings of earth-centered traditions which celebrate the sacred circle of life and instruct us to live in harmony with the rhythms of nature.” Join us for our March meeting (led by Kim). Shake off your winter blues, connect with the rhythm and learn some new grooves with percussionist Rachel Elizabeth. The Dark Moon Drum Circle will begin with a brief workshop to help people get comfortable playing together. A drum circle is a celebration of life, community, and music-making in the moment. Please bring hand drums, shakers and other hand percussion. A few small hand drums will be available if you do not have your own. Join Frederick CUUPS for an open, family-friendly Ostara Ritual! On the first day of Spring, when day and night are balanced, Pagans honor that balance and seek it within while rejoicing in the stirrings of life in Nature. We will share an Ostara celebration (led by Irene and Chris). Potluck to follow, please clearly LABEL any offerings with the ingredients included. Saturday, March 31st, 7:30 pm – Blue Moon Labyrinth Walk & Potluck! Celebrate the Blue Moon with Frederick CUUPS! A Blue Moon occurs during the second full moon of a calendar month. This Blue Moon, join us for a Labyrinth walk as well as a Divination night (give or receive readings) and potluck! Please clearly LABEL potluck offerings with the ingredients they contain. The labyrinth will be illuminated from 7:30 – 9:30 pm. Everyone is welcome. During the cooler months, we take our Labyrinth practice indoors, and will be walking the Rainbow Seed Labyrinth, a canvas Classical-pattern Labyrinth. Please remember clean socks or slippers to walk the Labyrinth in. Please plan to arrive by 9 pm at the latest to allow enough time for your walk. Divination practice is welcome – please feel free to bring your preferred divinatory tool (runes, tarot, ogham, etc) to practice/trade readings. Or, just stop by for a reading! Recommended donation of $5.